The Tank pendant lamp by Established & Sons is a design by British designer Alexander Taylor, who created an industrial style luminaire inspired by classic pleated shades. However, the design does not look romantic at all, but is much more oriented towards the industrial style. The powder-coated aluminium shade is characterised by coarse, angular joints rather than filigree folds, thus creating a graphic, straightforward charm that blends in perfectly with any modern ambience. As the centre of the room, placed above the coffee table or arranged in a row in the corridor, the Tank pendant luminaire attracts everyone's attention and impresses with its industrial look. The thin steel wires with which the luminaire is suspended and almost seems to float add a sophisticated touch. 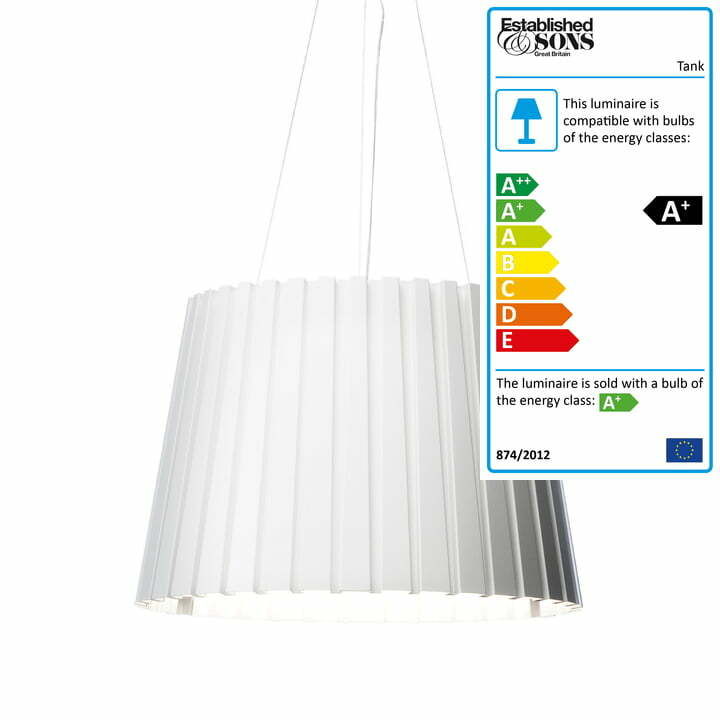 The light is also convincing, because inside the lampshade there is a glass diffuser that ensures soft, glare-free light output and pleasantly illuminates every room. A light source is included in the delivery. 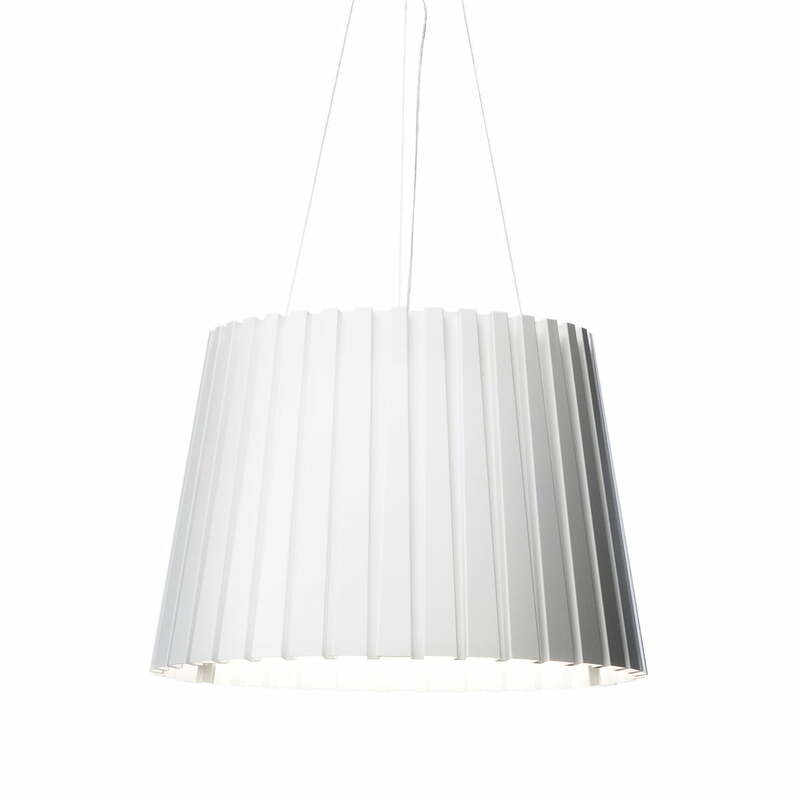 Isolated product image of the Established & Sons - Tank pendant light S1, Ø 50 cm / white. The powder-coated aluminium shade is characterised by coarse, angular joints rather than filigree folds, thus creating a graphic, straightforward charm that blends in perfectly with any modern ambience.